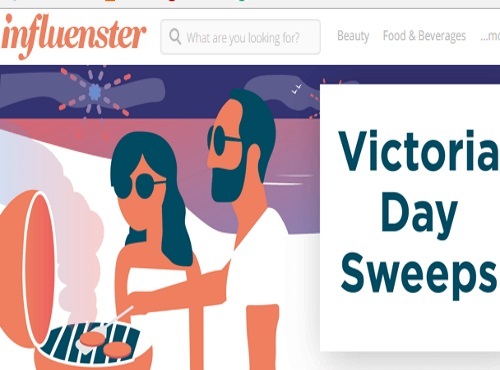 Influenster has a Victoria Day Sweeps on now! Victoria Day is over, but this contest isn't yet so we thought we'd post it now. Calling all our fave Canucks! We’ve got a ton of exciting opportunities coming up this summer for you to snag some exclusive Influenster offerings from brands we just know you’ll love! Interested? Complete a few easy activities below to improve your chances of qualifying! Not only that, but for each action you do - you’ll be entered to win some amazing prizes, including a Hudson’s Bay card to help you kick off your summer in style! Winners will be selected at random based on the number of entries! Contest ends June 5 at midnight EST. Click here to complete the tasks if you're already an Influenster member. Click here to join Influenster if you aren't a member yet.